We use numerology, astrology, physics, bio-geometry, colours, spiral dynamics, free energy devices, Earth healing systems, gemstone, crystals, certain metals and measurement of Radiations from the ground and environment to provide a complete solution to all our esteemed clients. We also check for stuck energy patterns old stagnant energies as in old buildings and can change them. Judged as the best Aura analyst in the year 1999 by “The Indian Express” Sachdev is one of the founders of Aura diagnosis movement in India. He specializes in understanding the unseen energies of the human body and of the earth. He is very passionate about the science of “Vastu” and “Earth Healing” He sees the earth as having death inbuilt in it. Correcting, healing and balancing a place can prevent damage to the body from harmful earth energies. Increasing the energy level of the earth and converting them from life sucking, to life giving energies provides hope of a healthier life. The modern fast paced life and unprecedented changes in the way we live and build our homes has disconnected us from good earth energies which are vital to human energy balancing and his existence. The electromagnetic disturbance from earth and manmade sources has created a strong electromagnetic imbalance in man’s own energy field causing him to be in an imbalanced state all the time. This is a leading cause of several diseases as they lower the immune system and keep it at that level. He provides permanent solution to the problem of electromagnetic radiations both from earth and external sources in a given space and has devised a method to measure the balance achieved. He is also the author of a book “Essential Vastu” As an engineer; Ashok Sachdev always tries to see everything scientifically and tests all the inventions for Remedial Vastu and Earth Healing very rigorously even though the areas of his work are in the metaphysical realm. 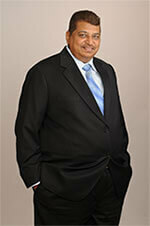 He is a consultant to several leading business families, builders and architects. He works untiringly to create a happy, balanced life for mankind at large. We have a patented system of converting negative ground energies to positive and also increasing the energy of a place to 49500 Bovis. Magnetic distortions caused by excessive construction and decay of earth energies, if found to be of high intensity become life sucking, we convert these negative energies to positive life giving energies. Various immune disorders and diseases like cancer, arthritis, muscular dystrophy, aggressive behaviour, attention deficiency, are attributed to the above mentioned caused. These are resolved by earth healing. We conduct 24 tests before determining the suitability of land for residential, commercial, educational, hotel, entertainment or for any other purpose. We match the aura of a person with that of the place being corrected.